Coverage area: Stewartstown Borough, Cross Roads Borough, Hopewell Township, East Hopewell Township. Over 10,500 citizens and over 52 square miles. Our area is mostly residential with commercial mixed in.Staffing: Professionally staffed by 100% volunteer firefighters. There are currently over 35 active members in our Fire Division, many of which are nationally certified as Firefighter I or higher. 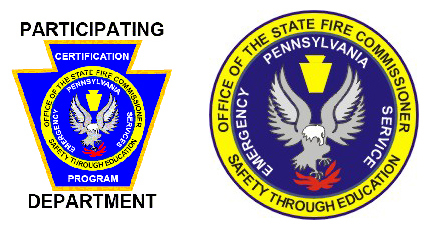 Most of our members are also certified as PA Department of Health Vehicle Rescue Technicians, EMT&apos;s, or Emergency Responders.We operate out of two stations. House #1 is located at 82 North Main St in Stewartstown Borough and House #2 is located at the East Hopewell Township building on Hickory Road. Our apparatus consists of three engines, two tankers, one aerial truck, two brush trucks, one utility truck and one service van (fire police). We responded to roughly 423 calls in 2011 and we average 12 members per call. Our members put in over 5,000 hours alone in attending calls and training sessions in 2011. Many more hours are spent on fund raisers, public education sessions, committee meetings and so on. This is like having a 2nd full time job for many of our members! 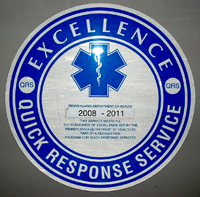 Our Fire Division also staffs a PA licensed Quick Response Service (QRS). QRS-54 supports our EMS Division by providing care for patients when our ambulances are out on other calls or when additional resources are needed. This unit is equipped similar to an ambulance, but does not transport. It provides basic life support until another ambulance can arrive.We provide mutual aid to our neighboring communities when called upon. We also welcome their assistance when we need additional resources. We run mutual aid calls into northern Harford and Baltimore Counties in Maryland and all of south central York County. Eureka has proudly served the area since 1906 and we will continue to protect and serve for many years to come. Eureka&apos;s bravest are ready and willing to answer any call that comes in. We train hard so that every firefighter goes home safe. The purpose of this program is to recognize those organizations that support, promote, and encourage their emergency response personnel to voluntarily certify within the Commonwealth&apos;s Certification Program administered by the Office of the State Fire Commissioner.Eureka has been recognized at the 10% participating level which means over 10% of our firefighters have achieved national certification in firefighting, hazardous materials or rescue.